Jobsoid offers you a completely customizable careers portal that not only lists various job openings in your company but also allows you to create engaging pages depicting your organization, the work culture, and many other related things. It helps in employer branding. Write out a short description about the page. And mention a few keywords related to the page. This step is optional. You may skip it if you wish to. Under the Page Header section, enter the title of the page header in the Title text box. Add a suitable sub title if required. Upload a cover image to this header by clicking on (+) Upload Cover Image. Choose the desired image from your computer system. Ensure that your image is of .jpg, .jpeg, .gif or .png format. Click on (+) Add Section to add content to your page. You can choose from one among HTML Content, Job Listing or Image Gallery option. Click on Save button to save the page. 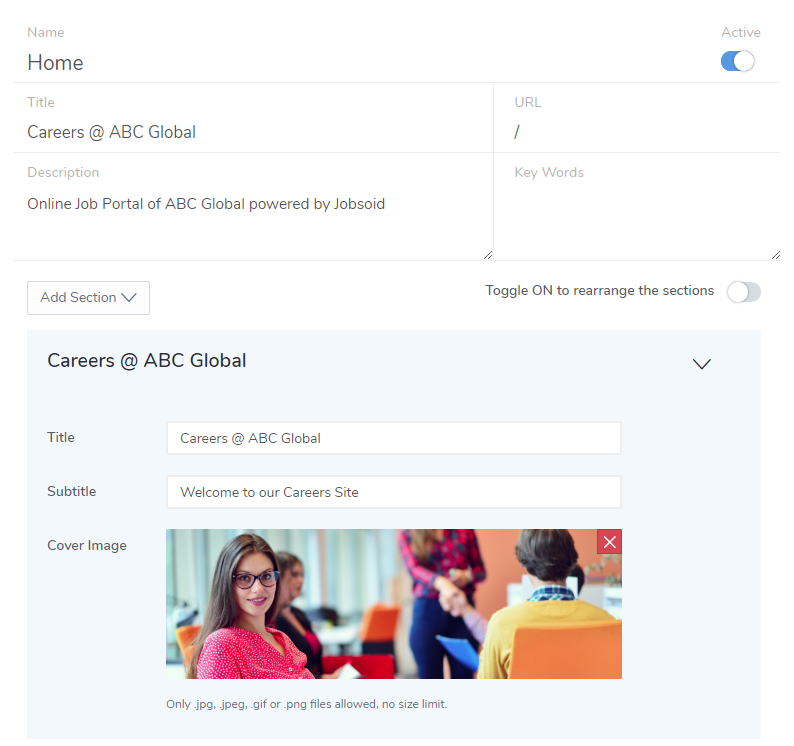 You can add multiple pages to your careers portal. 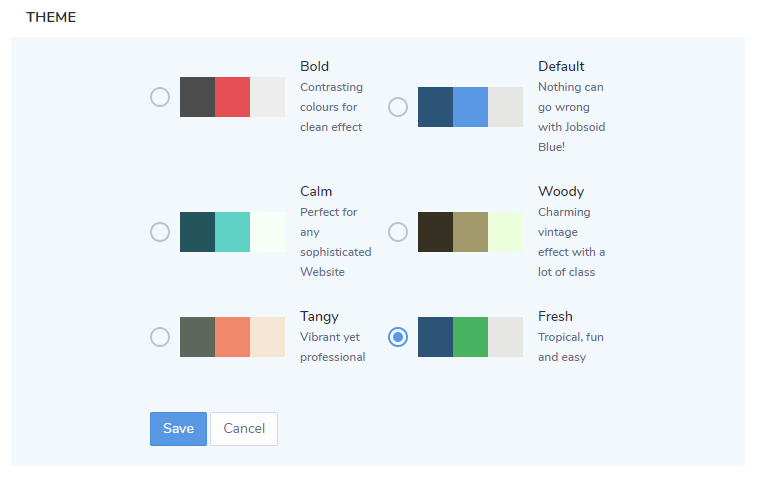 To add a new page, Click on (+) Add page option and follow the steps mentioned above to design it. Rearrange the pages using the drag option.